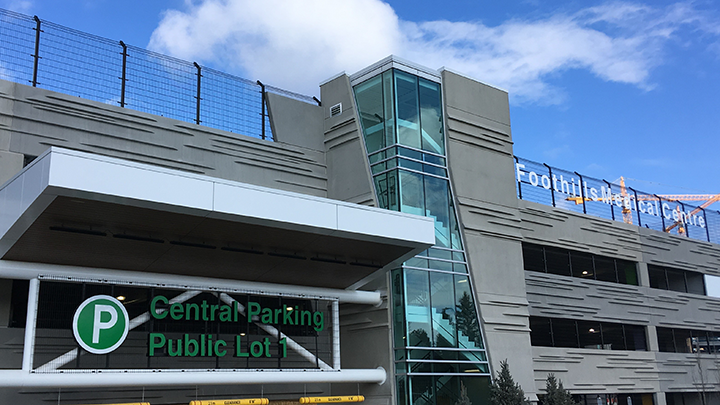 The new Central Parking is now open to patients, families and visitors. Public parking is available on the Skyline (second level at grade) and Mountain levels (third level) with an additional level opening in the coming months. 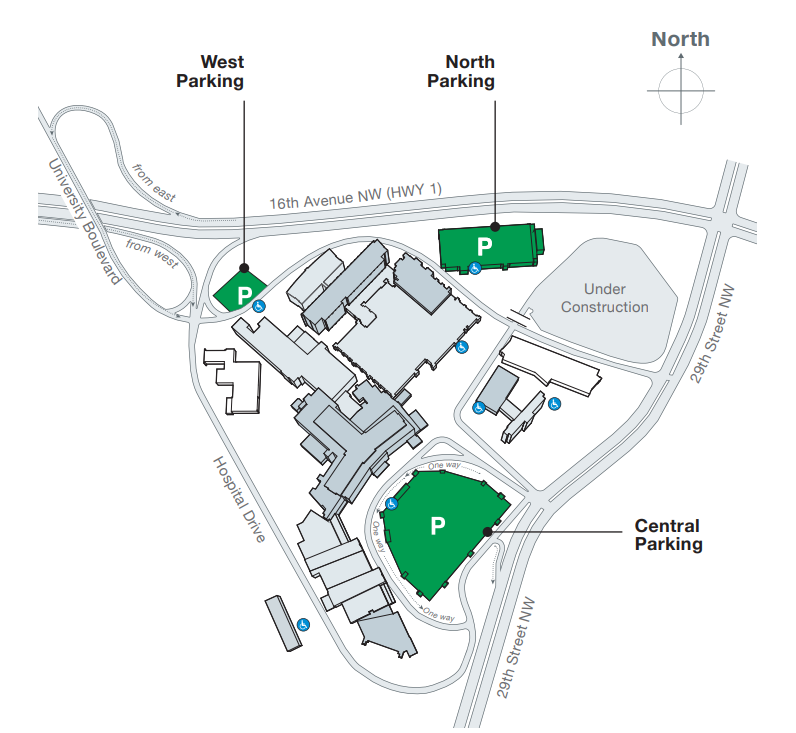 Most public parking at Foothills Medical Centre will be in the new Central Parkade, but there are two other public parking lots for your convenience: West Parking (Lot 10) and North Parking (Lot 6). Drop offs are available at all building public entrances. We are committed to improving the patient and family member experience on the hospital site, including finding your way to your destination within the Centre. Using the best entrance to the Foothills Medical Centre will make it easier for you to get to the correct building. For any emergency, use the Emergency Entrance off 29th Street NW. 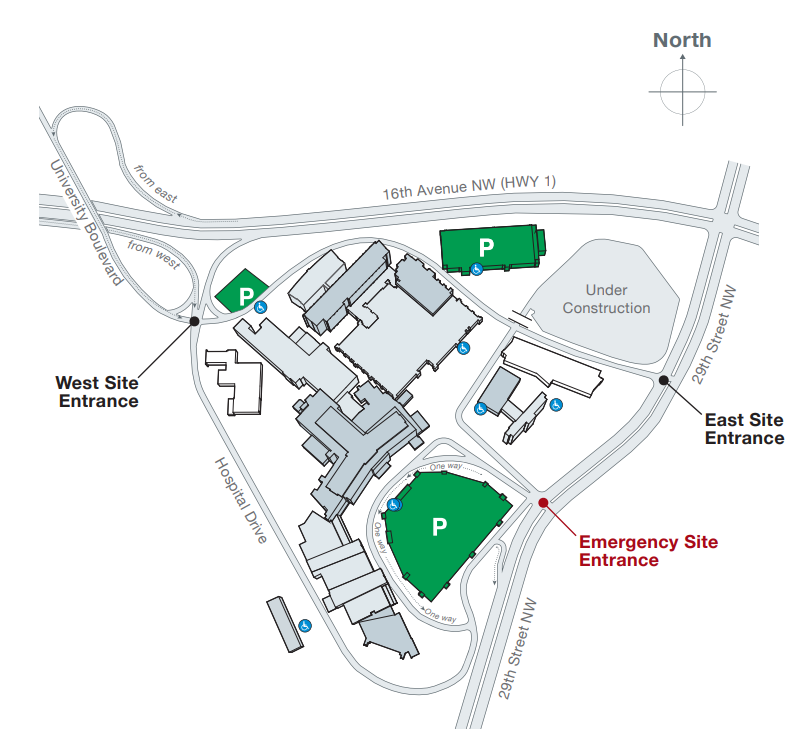 For all non-emergency visits, use the West Entrance located just off 16th Avenue North. If you are coming from the west, use exit onto University Boulevard. Arriving from the east, use the University Boulevard turn-off from 16th Avenue. For the University of Calgary Foothills Campus, use the East Entrance off 29th Street. Based on the building you are looking for, use the closest possible parking.